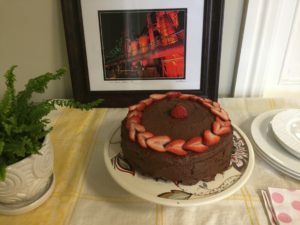 We hold events for coworkers a couple of times a month, including Marketing Madness workshops (scroll down to see the full list of recent topics), impromptu Rock Salad lunches (more yummy than they sound! ), occasional networking events, and monthly 4th Friday Festivities. If this sounds good, see the lineup below and for more details, email info@cowork414.com. Or, click here. Or, you can visit us by appointment: Tour the space, see if CoWork 414 is a good fit for you. Contact us to set up a visit. 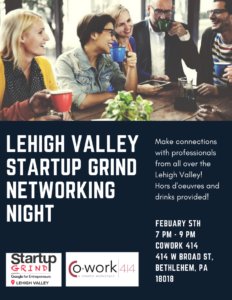 Startup Grind Networking Event – 7-9 PM. We hosted an event recently and plan to again, watch this space for details. Startup Grind is a global startup community designed to educate, inspire, and connect entrepreneurs. We are excited about hosting this opportunity for you to meet and talk with other entrepreneurs start or growing their businesses! Light refreshments are included. There is no cost to attend, but RSVP at info@cowork414.com. Wednesday, April 10 – Marketing Madness Workshop – 12-1 PM. Bring your marketing questions and get answers! Bring your own brown bag lunch. Beverage and dessert will be provided. Free to members of CoWork 414 and SoBeCoWorks. $15 at the door for all others. RSVP at info@cowork414.com. Friday, April 26 – 4th Friday Festivities – Happy hour & networking. Food & drink, a great place to be at the end of the week! CoWork 414 members and invited guests. Contact us to learn more. If you are looking to meet or work alongside other purposeful people — whether self-employed, starting up, or remotely located employee — check out CoWork 414’s, space or our events for coworkers and 414 friends. You will quickly build your skills, network, and excitement about your work. Contact us here. Check out these recent workshop events for coworkers and members of the public. If there’s a workshop you’d like us to run again, let us know! Email info@cowork414.com! “‘Don’t Take Our Word For It’: Social proof … what it is and why you need it on your website.” 5 strategies for showing your prospective clients that people like themselves vouch for you — and that matters a lot. “Make Your Bio Work for You.” We cover the purpose of the professional bio and its key components, then draft a 1-paragraph bio for at least one attendee. “Write Your Thumbnail Bio.” Sometimes it’s good to have a very short bio of yourself. This might be for your website or to go with something you’ve written. How do you sum it all up? Expert help available! At this event for coworkers, we highlight 5 words or phrases that are super-effective in the business world at persuading people to do what you want. Haven’t heard back on that email or project? Find out how to word your emails in a way that gets a reply. The TOP thing to include in every communication. One of our most useful events for coworkers, we found out what sections to include on your résumé – and what not to include. We looked at a participant’s actual résumé and Jennifer gave immediate feedback. We will run this workshop again — ask about it! Even if your résumé is very good, Jennifer has been writing résumés that open doors for 10 years and has never met one that couldn’t improve in some way. You’ll come away with at least 3 ways to make your résumé more effective. Found out (at least) 3 ways to ensure your blogs/articles help you get found online. Learned about keywords (hint: they are more than just individual words). All came away with 5 online article topics that will make it easier to connect with their target audiences. Write Your First Press Release! Great workshop, templates, a sample and actually wrote a press release for coworker Kim on the spot. Receive a template and customize it with your contact information. Learn to spot the dozens of situations that call for a press release. Identify your newsworthy event and find out how to write about it in a way that makes the media want to publish it. Worked out what you need to communicate on that all-important elevator ride. Tried out several patterned approaches to elevator speeches and see which one makes the most sense for you. Learned how to customize your elevator speech to your audience. Note: If one of these events for coworkers sounds good enough to run again, let us know! Info@cowork414.com. “Better Testimonials 1-2-3.” A stand-out event for coworkers … Say good-bye to this: ‘Write something and I’ll sign it.’ Find out who to ask and how to ask in a way that gets your clients to write a better testimonial about you than you ever could. Find out where to get started shopping for a host in light of your website needs. 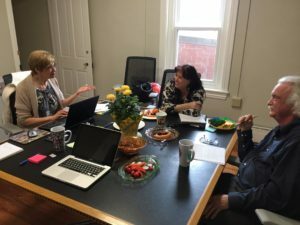 Kim founded PixelPaper in 1999 to provide local businesses, graphic design firms, churches and non-profit organizations in the Lehigh Valley with affordable web solutions. Since then her business has grown to include clients throughout the United States. ** “Better Website Copy in 60 Minutes or Less.” ** Based on attendee feedback, this was one of our best-ever events for coworkers! At this event for coworkers, we went over how you can speak to your target audience, improve SEO, create a “cleaner” looking home page. “Choosing & Using Images on Your Website.” Guest presenter and coworker Kim White (pixelpaper.net) provided a lot of super-useful information at this event for coworkers and friends. Still wondering if CoWork 414 can help you? Contact us here to set up a phone call.